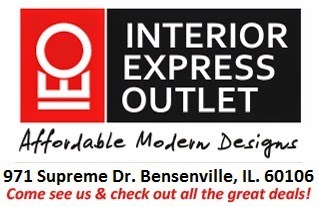 Chicago Furniture | Interior Express Outlet Blog: Affordable Bedroom Furniture for the First Time Mover! Affordable Bedroom Furniture for the First Time Mover! There is a period of time where it takes me a bit of effort to get Sonny out of bed in the morning(I'm sure this is very similar between parents and their children)especially with Day Light Savers disappearing more every day. Either Sonny is super lazy, or it just throws off his internal clock. With that being said, he just LOVES sleeping with me on my bed every night. 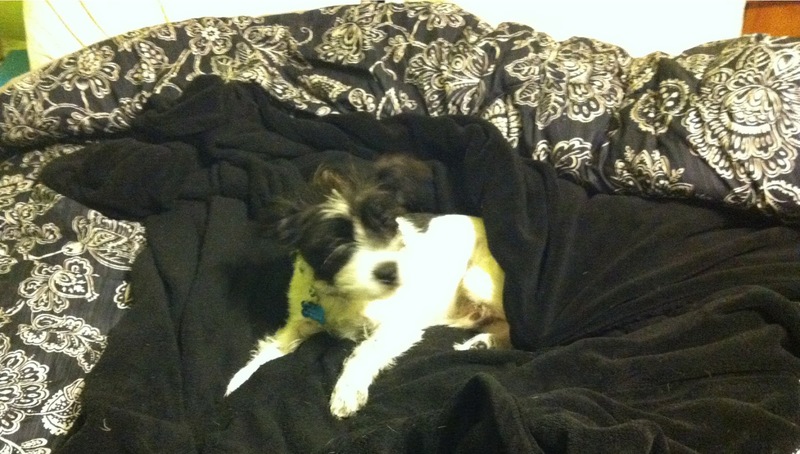 As my move into my new apartment is nearing, I am in much need of an updated bedset. This bed frame has to also be Sonny appropriate. As I looked at our warehouse, I quickly set my eyes on the Baxton Studio Montserrat Black Wood 5-Piece Modern Bedroom Set. This is a very affordable modern furniture design that will fit perfectly in my new bedroom! It's a very sleek and modern design that is simplistic enough for my taste, but also has a bit of intricate design elements. Interior Express Outlet has many different styles of bedroom furniture perfect to fit the decor of any room. The deals on bedroom sets are unbeatable! And I think it will most definitely be Sonny-Approved.